In tandem with the mission of the Department of Energy, UWM’s Industrial Assessment Center (UWM IAC) helps manufacturers and utilities to increase their productivity and competitiveness by reducing energy and water consumption, enhancing cybersecurity, and adopting smart manufacturing technology. The UWM IAC conducts manufacturer and utilities reviews in the following areas: energy, environmental stability, advanced manufacturing, water, and technological innovation. These technical assessments have been developed by the UWM IAC in order to make impactful scientific and technical contributions to Wisconsin’s manufacturing companies, utilities, and facilities for water, wastewater and sand, as well as help those companies enhance cybersecurity and adopt smart manufacturing technology. UWM’s IAC has, in the past 25 years, established visibility nationally and throughout the state. The center is led by Dr. Ryo Amano, Professor of Mechanical Engineering, Fellow of American Society of Mechanical Engineers (ASME), Fellow of International Society for Energy, Environmental and Sustainability (ISEES), a recipient of ASME George Westinghouse Gold Medal, and AIAA Energy Systems Award. The center is staffed by members whose qualifications are state-of-the-art in science, engineering, technology, cyber physics, as well as experts in power, electric, materials, sustainable energy, water science, cybersecurity, and economic analysis. With a new mission focused on technology in the workforce, the current center was re-built in 2016 under the directorship of Dr. Amano and three assistant directors. 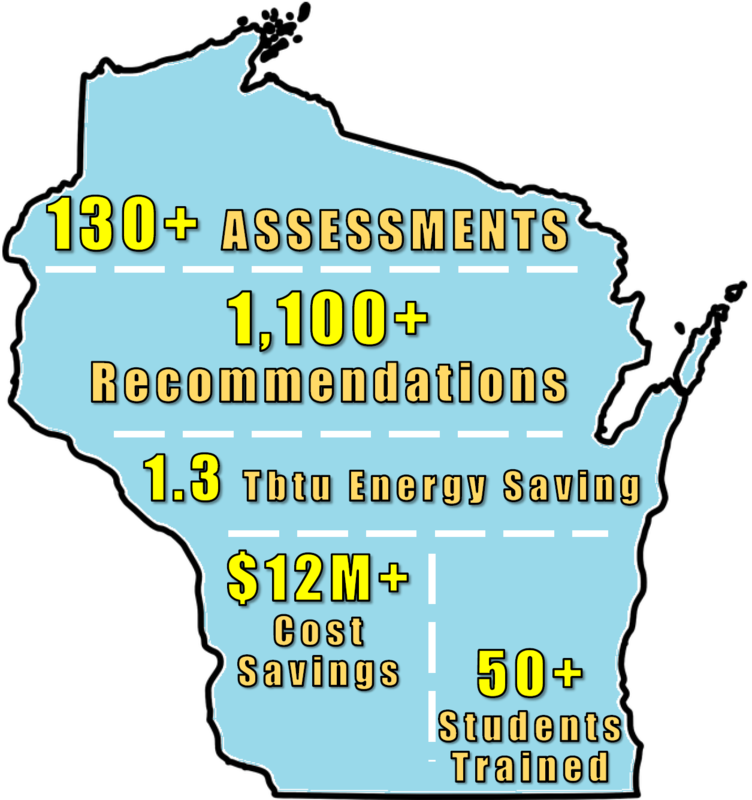 To date, over 600 companies and water treatment plants have utilized the UWM IAC’s multidisciplinary energy assessment services, with average recommended savings of about $150,000 per facility and an average implementation rate of 40%. The team’s efforts have boosted the average recommended savings to over 20% of the companies’ utility bills through the enhanced assessment of energy and water usage, reclamation of electric power, cyber-security, and smart manufacturing. Working closely with Focus on Energy, We Energies, Franklin Energy, and the assessed companies, the UWM IAC is making an effort to increase the average implementation rate to above 50%. The impact the UWM IAC has on the state of Wisconsin is profound. The center is educating and training a generation of energy engineers within 150 miles of the site, and extending into Northern Illinois. The UWM IAC has also expanded partnerships between UWM and the Wisconsin state government, municipal government, private agencies and companies, as well as other academic institutions, increasing the visibility of all stakeholders in Wisconsin and nationwide. The UWM IAC produces essential technologies on electric power consumption, waste material removal, water treatment studies, reclamation of energy in the process of heating, power, and water processes with the implementation of biofuel production, renewable energy technology, recuperation, and reheating methods. The results have been published in a number of prestigious scientific journals and international conferences/proceedings. 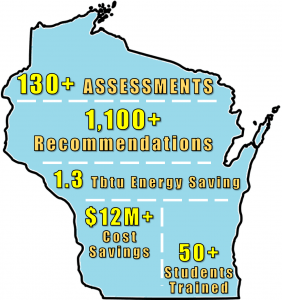 The UWM IAC has achieved the goal of annual savings of 41 million kWh, 98,000 KW demand and 3.5 million Therms throughout the Wisconsin manufacturers.